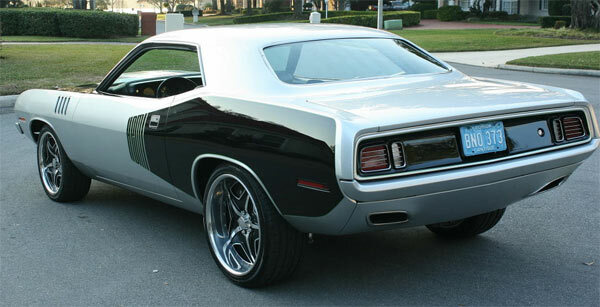 1971 Plymouth Cudas are the rarest muscle cars around in original condition, but they are also some of the coolest looking in custom form. This example keeps its exterior true to form apart from the blower poking through the hood. Keeping most of the exterior true to the original, makes this possibly a nice balance between originality and customisation. 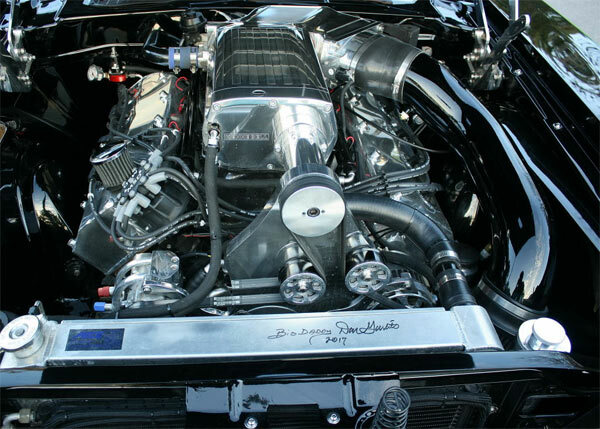 The car features some outstanding parts as you can see from the list below, but it’s the 426 Hemi V8 with a 3.6 LC Kenne Bell Supercharger producing according to the ad. 800-1,000HP which makes this car standout. The build apparently took three years to complete, completely reworked from the ground up with the exterior repainted in dual stage Silver Metallic & Black. Everything throughout this car seems to have had a new upgrade from the custom late model Challenger Black leather & suede interior to the leather covered door panels and new gauges. 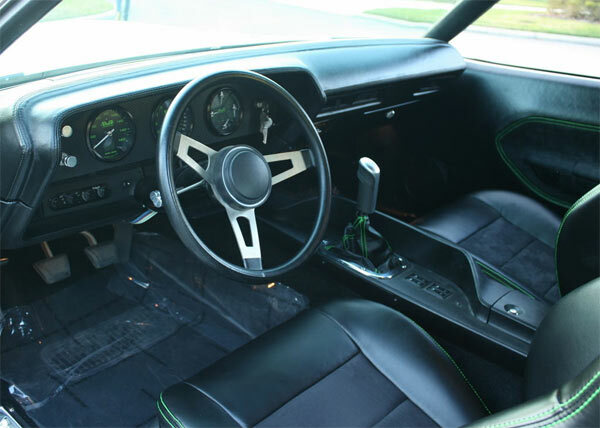 The green accents on the stitching and gauges look very cool and add to the custom feel of the interior, without detracting too much from the original design. The ad. comes with 106 images which gives you more than plenty visuals to give you an idea of what has gone into this vehicle. 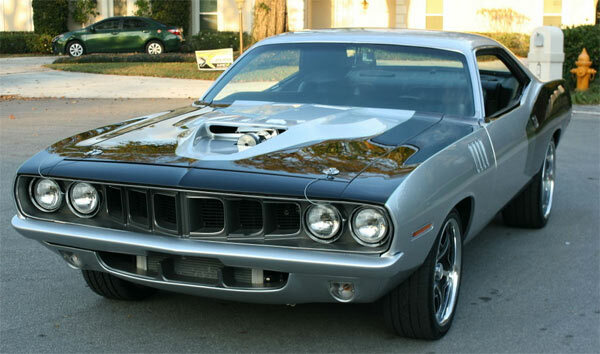 It’s clear to say that this reworking of a classic keeps most of the original ideas for what made the ’71 Cuda such an iconic design, while giving enough upgrades to make it modern enough to be a regular driver. A lot of work has seemingly being ploughed into this restomod, such now the decision of assets worth the asking price of just shy of $150k.